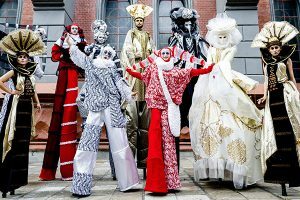 From Mad Hatters to Cheshire Cats, there’s a lot of colour and creative freakishness in the childhood adventure that is Alice in Wonderland. 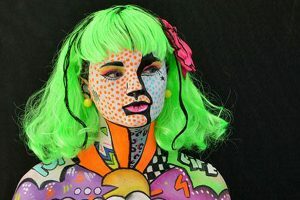 As a child, I was lost numerous times in that world of mystery and bright, bedazzling colours and now as an adult, I’ll get the chance to recreate some of that enamoured intrigue that this world brought me so many years ago, thanks to this year’s Australian Body Art Festival. 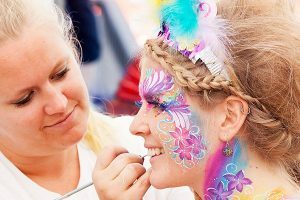 This April 8th and 9th the Australian Body Art Festival makes its vibrant return to Cooroy with the theme of – ‘Wonderland!’. For those not familiar with the term body art, or the festival itself, allow me to explain. The genre of body art seemingly originated in the 1970’s. The actual bodies of models play a vital role in the artistic piece. This of course includes piercings, ornamentation, tattoos and plain old body paint. The human form becomes the canvas, and it makes for some mind altering works of art. The festival itself began back in 2008. It was held in Eumundi up until 2015. In 2016 the event was not able to be held, but this year it’s back and better than ever. As with any good art festivals, there are plenty of competitions and prizes to be won – thanks to some very generous sponsors of the event. 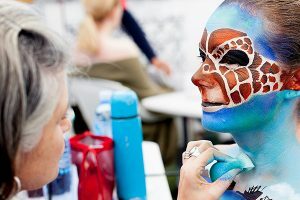 There will be 6 total ‘artist’ competitions, including; Brush and Sponge, Airbrush, Special Effects, Face Painting, Wearable Art, and the photography awards, as well as a ‘best model’ competition to make things interesting. Each competition will feature a first and second place, with each winner taking home either a cash prize, or another prize provided by the sponsors. There will of course be plenty of amazing street food and stalls on offer. If you like what you see, and want to pick up some supplies to play around with at home, there will be plenty of suppliers to choose from, not to mention some amazing artists to bond with and pick up some tips and tricks of the trade. These community events are amazing ways to create ties in your local artist community, as well as a way of supporting said local artists and suppliers. So if you have the time, and a love of good art, I urge you to stroll through the stalls and enjoy the talent on show. For more information on the event, see their website.